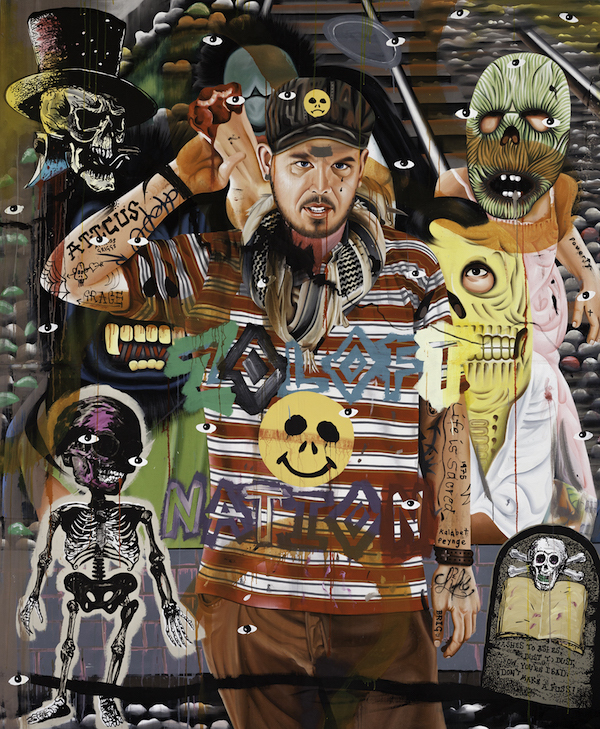 David Griggs, ‘Zoloft Nation’ (self portrait) (Detail) 2009, acrylic on canvas, 282 x 232cm. Courtesy of the artist and Glasshouse Regional Gallery. BETWEEN NATURE AND SIN brings together key works by leading Australian artist David Griggs for the first major survey of his work. Griggs’ work draws on political imagery, underground media, local histories and personal experience. For the last 10 years Griggs has resided in the Philippines and has created a significant body of work traversing painting, photography and film that reveals the social hierarchies and underground culture of his adopted home.